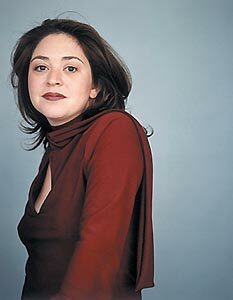 The Full Frame Documentary Film Festival is honoring Liz Garbus and Rory Kennedy with the 2010 Career Award. Working Films extends our congratulations to these extraordinary filmmakers, we partnered with Rory and Liz on their highly successful Ghosts of Abu Ghraib and Coma audience engagement campaigns. This filmmaking team co-founded their production company Moxie Firecracker Films in 1998. Together, they have produced and directed a wide range of work exploring social issues through the lives of everyday people, including examinations of the U.S. legal system, AIDS, violence, abuse, and human rights. I was absolutely thrilled to learn that Liz and I had been chosen for the 2010 Career Award. It is such an honor to join past recipients such as Ken Burns, Barbara Kopple, and DA Pennebaker – filmmakers that I have admired for years. Full Frame is one of the premier documentary film festivals and I am so deeply honored to be receiving their lifetime achievement award. You can read more about this award and the 2010 Full Frame Documentary Film Festival that will be held April 8-11, in Durham, N.C. at fullframefest.org.